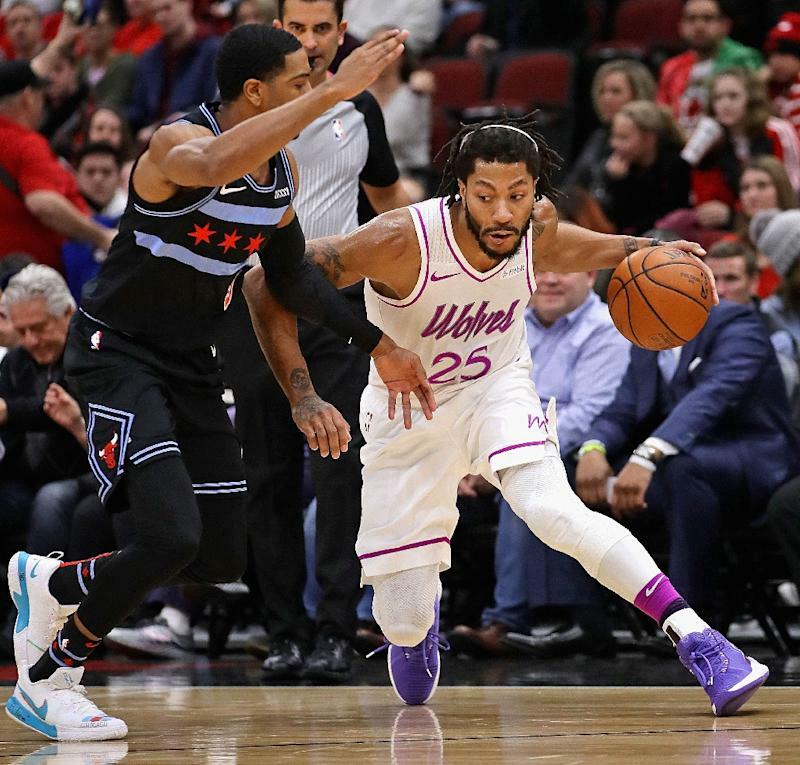 Washington (AFP) - Injury-nagged 2011 NBA Most Valuable Player Derrick Rose has undergone his latest operation, the Minnesota Timberwolves announced Saturday, saying he had arthroscopic surgery to remove right elbow bone chips. Rose will be sidelined indefinitely but was already slated to miss the remainder of the regular season for the T-Wolves, who at 32-40 are one loss from being eliminated from playoff contention with 10 games remaining. The 30-year-old point guard was a superstar playmaker for his hometown Chicago Bulls, but suffered a left knee injury in Chicago's opening game of the 2012 NBA playoffs, missed the entire 2012-13 season and then suffered a right knee injury early in the 2013-14 campaign and missed most of that season as well. Another knee injury followed and Rose was traded to New York in 2016, but in April 2017 suffered another left knee injury and underwent his fourth career knee surgery. Rose played for Cleveland in the 2017-18 campaign before a trade to Utah, which released him. Rose signed with Minnesota and was reunited with ex-Bulls coach Tom Thibodeau.